A/Ibom gets ultimatum on N-Power deployment – Royal Times of Nigeria. 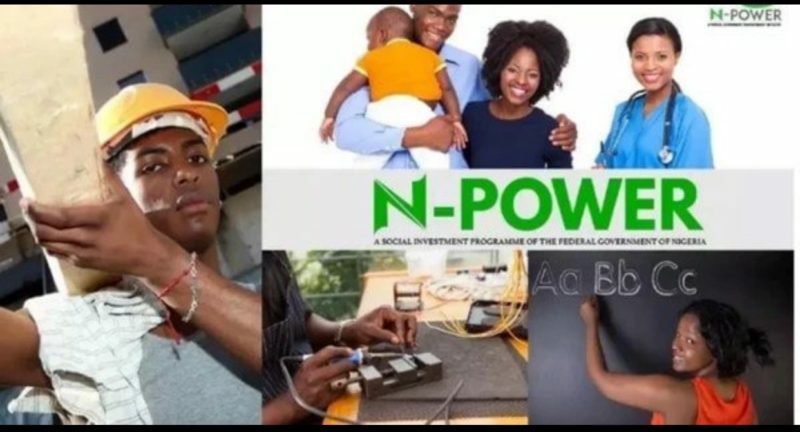 The Federal Government has issued a two-week ultimatum to the Akwa Ibom government to fully deploy N-Power volunteers or lose its slots to other states. Mr. Afolabi Imoukhuede, the Senior Special Assistant to the President on Job Creation and Youth Employment, issued the warning at the state institutional stakeholders meeting in Uyo. After visiting some schools where the volunteers were supposedly deployed, the Monitoring and Evaluation (M and E) team, led by Imoukhuede expressed displeasure with the execution of the scheme in the state. Accordingly, Imoukhuede requested for the schedule of posting for the volunteers immediately as the Federal Government would no longer continue to pay volunteers, who had yet to be deployed seven months after being paid. “We need to get a full deployment report in two weeks or the stipends of the volunteers will be put on hold,” he directed. The SSA said another assessment team would visit the state at the end of the ultimatum to ensure that the right thing was done. He also said that the relevant ministries – Agriculture, Education and Health – should ensure full monitoring of the scheme. “I must express my gross dissatisfaction with what is happening in this state; this is horrible; it is in shambles. “It was decided that any state which failed to send its deployment schedule to the N-Power office before the end of March will not be paid. “If that was done, this will not have happened,’’ he said. Imoukhuede said that if the state had informed the headquarters that it did not need the volunteers other states could have taken the slots. He said it was unfair to the Federal Government for N-Teach volunteers to be deployed on July 3 when they had been collecting stipends since January. The Permanent Secretary, Akwa Ibom Ministry of Economic Development, Labour and Manpower Planning, Mr Effiong Peters, explained that the state experienced challenges because the job scheme was new to it. Peters, who represented the Commissioner, Mr Idorenyin Udo, however, pleaded for more time to effect the corrections and gave assurance that the state would improve on its execution of the scheme. “We have a large number of youth unemployment and we will make judicious use of this opportunity to calm the youths,’’ he said. Peters also said that rather than blacklisting the state, the Federal Government should post more volunteers as it had capacity to absorb no fewer than 10,000 of them. The team visited QIC Group of Schools, Awa Iman, Onna local government and Kema Integrated Farms in the area where the proprietor, Mrs Mkpouto Okpudo, had introduced 2 volunteers to new medicinal crops from China. The team also monitored progress at the Primary Health Centre, Abat and Credo Farm in Abak where volunteers documented the outbreak of Stem Bora attack on Maize leaves for the attention of the Federal Ministry of Agriculture.